When I think of mental health, I think of a big, beautiful tree standing tall and proud, covered in luscious fruits and providing cool, green shade to shelter under. And this beautiful tree also makes me think of my grandmother. I grew up in a little house in Palestine that somehow fitted my grandmother, mum and dad and my eight younger sisters and brothers, all on top of each other. We laughed and cried, slept and ate, fought, danced and told stories together in this little house. In such a small space, we managed to learn some big lessons about relationships, human connection and the power of culture to sustain us through life. My parents and grandmother told us many stories that sent powerful messages about how we relate as family, extended family, community, church, school and neighbourhood. I remember my grandmother would tell me that a human being is like a tree; you must feed and water that tree well and it will give you fruit to enjoy and share for a long time. But if you do not treat that tree well, if you ignore, cut or abuse it, what do you expect it to give you? It couldn’t even give you shelter from the burning sun of summer. I have carried the image of that healthy tree throughout the many years – and kilometres – that have intervened; through my career as a nurse, health educator and now in my work with the PEACE Team at Relationships Australia South Australia. Over and over again I have seen how physical, mental, emotional and spiritual health cannot flourish unless the roots are well planted and nourished by family, community and cultural connection. 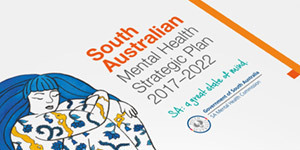 Last year I was privileged to consult with the many culturally and linguistically diverse (CALD) diverse communities in South Australia, to listen to their stories about mental health and wellbeing, and to contribute this knowledge to the development of the recently launched SA Mental Health Strategic Plan. The image of the tree of wellbeing provided a great starting point in many of the conversations in which 225 people from over 38 cultural groups in South Australia spoke to me about their diverse experiences, perceptions, beliefs, insights and concerns about mental health and wellbeing. All the CALD groups indicated that knowledge of mental health issues was limited in their communities, and that there was significant stigma and taboo associated with mental ill-health. Many languages do not have words for ‘mental health’ or ‘mental ill-health.’ People often said that in their culture of origin a mental illness has to be really extreme to be acknowledged or even recognised. They also spoke about the profound impact of stigma and associated sense of shame, which can have a compounding effect on a person struggling with mental ill-health. Connectedness – to family, community, culture – as the foundation for a sense of belonging, identity and wellbeing for individuals, families and communities. This was also one of the strongest themes that emerged from the consultation. Getting together as a community and sharing cultural activities is fundamental to connectedness and wellbeing. People frequently talked about the importance of sharing food, language, dance, music, religious and other cultural practices. The impacts of coming from a collective culture to Australia were often discussed, and how connectedness is diminished in a culture that focusses on individual needs, aspirations and rights. Participants frequently talked about the daily battle to make ends meet, and how this continuing struggle for survival impacts on the capacity to maintain connection with family and community. The role of strong communities in supporting and connecting individuals. This was generally seen as very important in maintaining mental health. However, as well as the many positives about coming from collective societies, there are downsides, such as the negative impacts of gossip, and also of the expectation that individuals would conform to cultural and community norms, and always prioritise family and community responsibilities above their own needs. This obligation aspect of collective cultures was felt acutely by those who have migrated to the ‘land of milk and honey’ and are expected to financially support those at home. Today, I am excited to build on these and other insights gained from the consultation to help build a community of practice and work with CALD communities so together we nurture and sustain the precious tree of mental health and well-being. 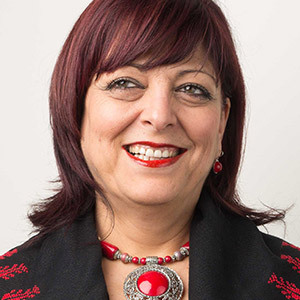 An Australian of Palestinian heritage and proud grandmother, Enaam has worked in Israel and Australia with culturally and linguistically diverse (CALD) communities for the past 30 years. Enaam is the Practice Manager for Multicultural Services at Relationships Australia SA.